13.05.2018 (Hvino News). 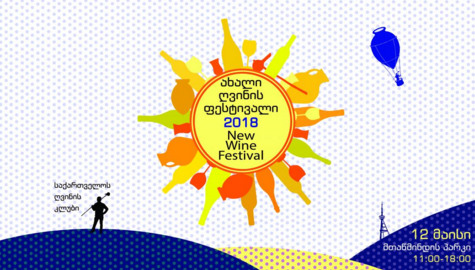 On May 12, 2018, the Georgian Wine Club hosted its ninth New Wine Festival, organized in partnership with the National Wine Agency and Tbilisi City Hall. 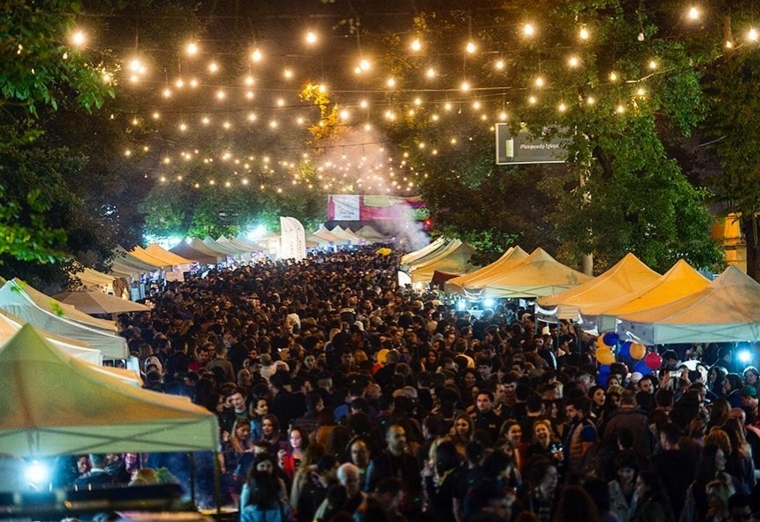 According to organizers, out of the 200 Festival's participants, 81 are medium and large wine companies, 236 are small estate vintners, and 6 are businesses such as wine accessories, wine vessels, equipment, publishing house, financial services and small entrepreneurs. The New Wine Festival 2018 started with the traditional ceremony of qvevri opening, accompanied by the Georgian folk song Mravaljamieri. Wineries of all size, wine professionals, wine writers, wine bars and restaurants, and wine enthusiasts make arrangements for this event annually. The New Wine Festival has been held since 2010, attracting an increased number of visitors year by year. The festival brought together over 200 participants last year.